Bakugan Battle Brawlers: Gundalian Invaders is the third season of the Bakugan series, and with this new season comes new Bakugan! 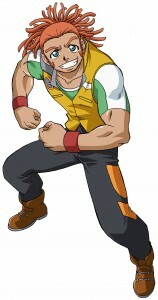 We now welcome more Bakugan warriors and the new Battle Gear and Super Assault Bakugan. There are also new Bakugan items and new features that will delight the Bakugan community. Dan, Marucho, and Shun are drawn into an escalating conflict between two alien factions. They must help defeat the Gundalian Protectors of the Dark Bakugan and the Twelve Orders who attack the peaceful planet of Neathia and now turn their attention to Earth, entering through the virtual reality Bakugan Interspace. The stakes are high! Will the Battle Brawlers triumph, saving the Bakugan and Earth once more? Dan, Marucho and Shun stay on in the Gundalian Invaders as the main protagonists of the season. Dan is still the main Pyrus brawler, Marucho the Aquos brawler, and Shun the Ventus brawler. 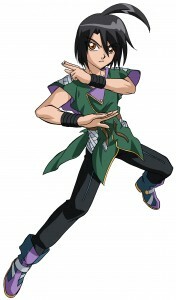 Marucho and Shun will also have new Bakugan as their new Bakugan partners. Julie also appears in this season, but it appears as if she does not brawl anymore. It is most likely that their Bakugan --- Gorem, Ingram, Elfin, and Preyas --- went back to New Vestroia. Fabia Sheen: Fabia is sister to the ruling Queen of Neathia. Brave and valiant, she goes to Earth to find comrades to help fight alongside the Neathians. Fabia is a very astute Haos battler. Teaming up with Aranaut, she is ready to battle to save Neathia. Jake Vallory: Jake is a new friend of Dan who made friends with him when he came to his new town. He has a powerful presence, because he is big for his age. He is very calm, but can get overly excited and obsessive. Jake is a Subterra Battler and partners with Coredem. Ren Krawler: Ren is the leader of secret agent group sent by Emperor Barodius to infiltrate Earth to find the DNA code. He is an alien disguised as a human sent to Earth to find the best brawlers and help defeat Neathia. 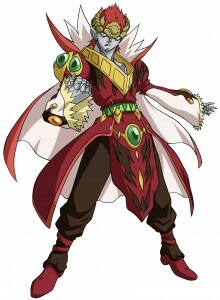 Ren comes from the underground world of Gundalia, where he was kept, unknowingly, by the Emperor's family, because he possesses a dark Bakugan with a very powerful ability. He is an exceptional Darkus Battler. Ren teams up with Linehalt to do battle. The main antagonists of the new season are, quite obviously, the Gundalian Invaders, who are led by Emperor Barodius and the Twelve Orders. The Twelve Orders are like the Vexos in the New Vestroia series; they are the antagonist group who leads the invasion and face off with our protagonists. Barodius: He was born into the family that has ruled Gundalia for generations. 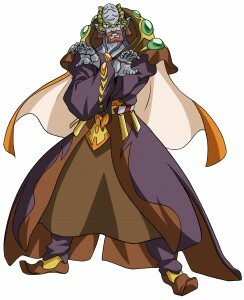 A Darkus battler, he is the leader of the evil 'Twelve Orders' which reigns over Gundalia and seeks to conquer Neathia. Barodius has been able to rule Gundalia, because of his overwhelming strength and special ability to execute battles simultaneously. He wants the secret DNA code from the Bakugan that possesses it, to create the most powerful Bakugan in all the universe. His longtime childhood friend and most trusted confidant is Gill. Barodius battles with Dharak. Nurzak: A Subterra Battler and a scholarly and wise intellectual. Although he's the oldest of the 'Twelve Orders,' he has the most physical energy. The Emperor trusts Nurzak and he has many followers. He is the #1 officer of the 'Twelve Orders' and is very good at analyzing the opponent, planning strategy and evaluating the situation. Kazarina: A sly, cold-hearted female battler who is always by the Emperor Barodius' side. 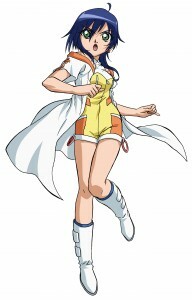 She works as the Director of the Bakugan Biological Research Center. There are rumors she is secretly undergoing cruel living-body experiments to heighten the Bakugans' abilities. Her goal is to develop abilities that will rival those of Neathia. 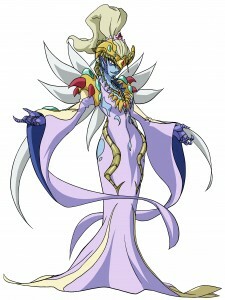 She is an exceptional scientist who has unraveled the mysteries of the Bakugan evolution. A Haos Battler, Kazarina partners with Lumagrowl. Airzel: The Emperor and Gill recruited Airzel to be a warrior. He lurks in the shadows, protecting Barodius who chose him personally to be part of the 'Twelve Orders.' Airzel is a leading expert in enemy surveillance and information analysis. 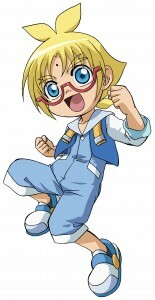 A Ventus Battler, Airzel became the #1 trainer on the Special Bakugan Team. He partners with Strikeflier. Stoica: He has a split personality: one of an angel, the other the devil. When he's an angel he is fun to be around, but when he is in devil mode, he is frighteningly cruel and no one can stop him. 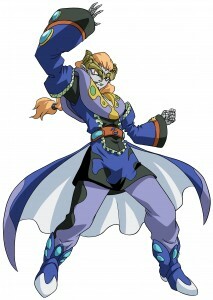 An Aquos Battler, Stoica has lots of tricks and moves during battle and opponents have a hard time reading him. 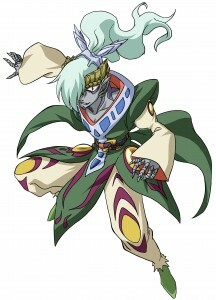 He has saved Gundalia many times with his ingenious battling abilities. The youngest of the 'Twelve Orders,' he partners with Lythirus. Gill: Gill is a calm, cool warrior who pledges loyalty to the Emperor. He has no parents and was brought up by the Emperor, whom he looks up to like an older brother. If ordered by Barodius, he will go to battle like a good soldier regardless of right or wrong. 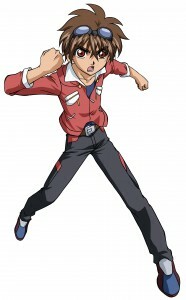 A Pyrus Battler, Gill trained the Special Bakugan Team that is in charge of protecting the Emperor. Krakix and Gill team up during battle. Sid Arcale: The Pyrus brawler in Ren's team, he is arrogant and thinks lowly of Ren. He does not think that Emperor Barodius made the right decision of making Ren the leader of their team, and lets everyone know it. Emperor Barodius disposed of him, with Rubanoid taken by Kazarina, when they lost the Element to Dan and Drago. Zenet Surrow: She is the Haos brawler in Ren's team, and appears to be the youngest. She likes to tease and insult her opponents, and also appears to not have much respect for Ren as the team leader. Lena Aisis: She appears calm and calculating in her battles. She is the Aquos brawler in Ren's team, and she has a confident personality in winning brawls. Mason Brown: Mason is the Subterra brawler of the team. He has sly and arrogant countenance. Jesse Glenn: Jesse likes to quote poetry and dramatic acts when brawling. He always carries a book where he gets his lines, yet even with this surprising personality he manages to be victorious in his battles. He is the Ventus brawler of Ren's team, and likes to battle the way he wants to. With the arrival of the third season, the packaging of the Bakugan products were revamped into a black-and-red design. For a look at the new and redesigned packs of the Bakugan Gundalian Invaders season, go to the Gundalian Invaders packs here. An exciting addition that came with the Gundalian Invaders is the Bakugan Battle Gear. It is a mechanism that can attach to the back of some of the Bakugan. It gives some boost G-power to the Bakugan it plays with. The Battle Gears have a different set of colors and symbols from the Core Bakugan. The colors are red, green, black, and brown, and they have different symbols on them instead of the symbols of the six attribute energies. The Battle Gear only have three symbols: Gold, Silver, and Copper. * A Battle Gear comes with a Gate Card and an Ability Card. The back of the Battle Gear cards are blue instead of orange. * You can use a combination of two battle gear, or one battle gear and one Bakugan Trap when you brawl. 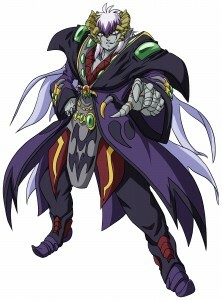 * The first Battle Gear shown in the series is the Twin Destructor, used by Spectra on Helios, on episode 41 in the second season, Bakugan New Vestroia. * The Battle Crasher was shown in episode 43 of Bakugan New Vestroia, along with the first appearance of Aranaut (who used the Battle Gear), Hawktor, Coredem, and Akwimos. The Bakugan Super Assault is similar to the Special Attack Bakugan, with new designs and powered special abilities, like dice throwing, spinning, light and flash, and vibrating mechanism. The BakuMorph Bakugan is just like the Deka Bakugan. It is a large-sized Bakugan, transforming from a marble to a Bakugan monster to a Bakugan warrior. Compared to the Deka Bakugan, however, the BakuMorph Bakugan is more detailed and looks exactly like the originally small Bakugan. An online game is also introduced with the new set of Bakugan products. Bakugan Dimensions is a new online game where Bakugan brawlers get to battle against people from around the world, chat with them, and share anything about Bakugan. It's like the Bakugan brawlers' virtual world. We are all aware now of the heat-activated codes in every Gundalian Invaders Bakugan and Battle Gear. These are online access codes that players can enter online at www.bakugan.com, and that specific Bakugan character will appear in Bakugan Dimensions.